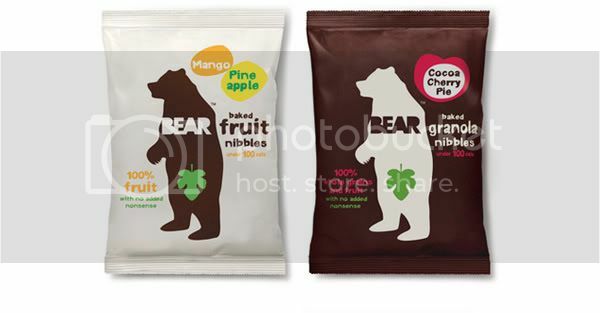 Today I bought a packet of We Are Bear 'Bear Fruit' nibbles purely just because of the design of the packaging (designed by B&B). I love how simplistic but effective the design is and even the feel of the packaging; it has a very natural and organic look to it. Can't say I was too keen on the dried up fruit inside the packet but it's funny what packaging can do to make you want to buy a product!